In the shack I currently have a limited amount of equipment being new to the hobby. 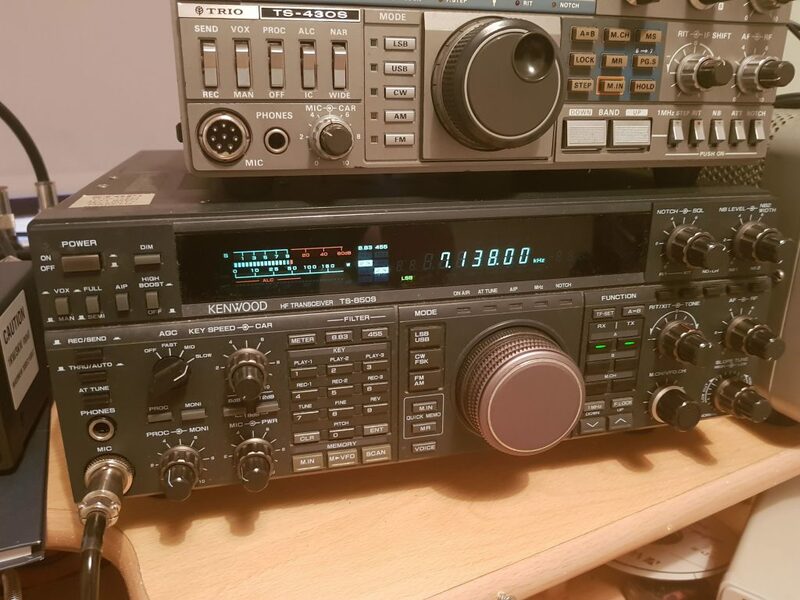 But what i do have works well enough to get me contacts in other countries on HF and local contacts through 2m and 70cm. 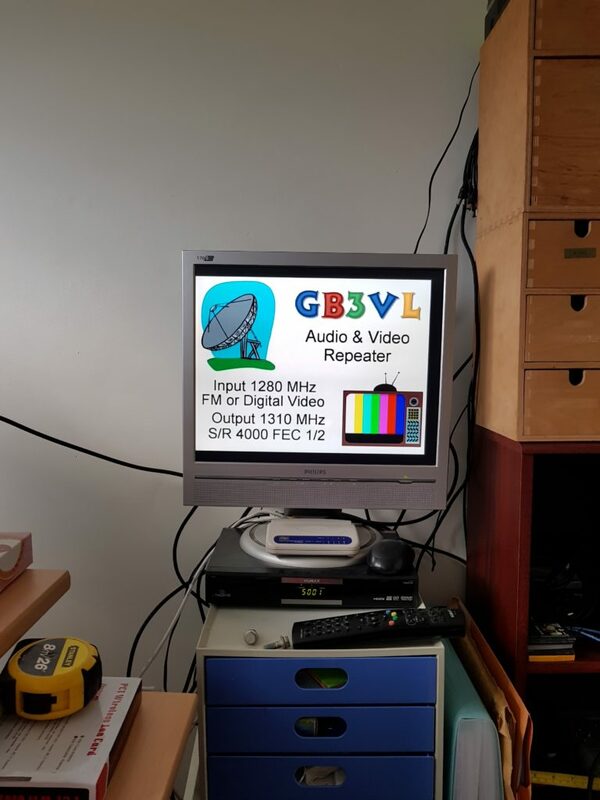 I also have recently set up and modified an old Freesat receiver to receive transmissions from my local 23cm ATV repeater GB3VL. 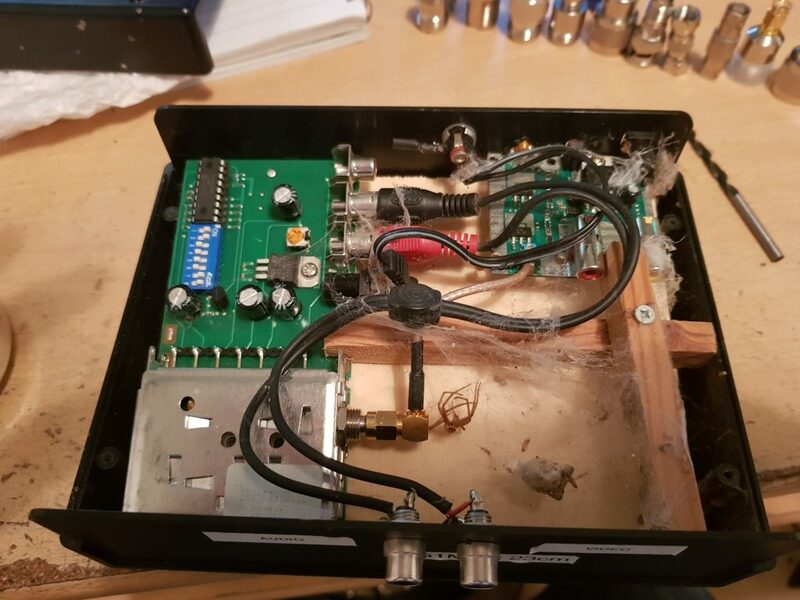 This radio was given to my radio club for them to give to one of their younger members. Before the radio was given to me it spent some time packed away in a box ready to be given out. During this time the lack of use took its toll on some of the capacitors which had started to leak. On first powering on the radio there was noise but nothing on the display. After a bit of googling i found the issue and started the repair. This repair is detailed in the projects section. 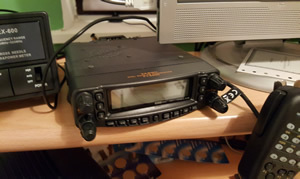 I was given this radio, along with other equipment, before I even had my Licence. It was after receiving this that I decided to acquire my licence so I could actually use it. Beside it you can see the Kenwood Supermatch 107 and a PS-430 power supply. This was the first radio I bought for the shack. 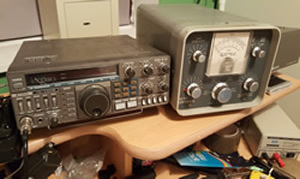 I did have another 2/70 radio, mentioned below, but because this didn’t have the ability to add names to memory channels then I felt I required something better for in the shack. At the 2018 National Hamfest I acquired a Comtech ATV transmitter fro 23cm. This come boxed with a 1W PA. 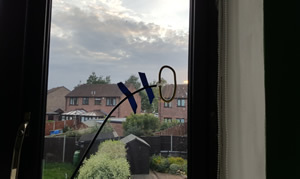 This has been setup with a double quad antenna fixed to the outside of the house aimed at GB3VL. This is my first experiments with 23cm and I have a beam to install once a rotator has been acquired. This is the transmitter as it arrived. As you can see it needed a good cleaning out. This is the double quad set up just for testing. It has now been mounted outside. To receive the repeater I have a Humax Satellite receiver with a home made antenna. 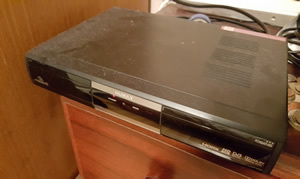 This freesat receiver is a recent purchase so I could set up for receiving the 23cm ATV repeater GB3VL. 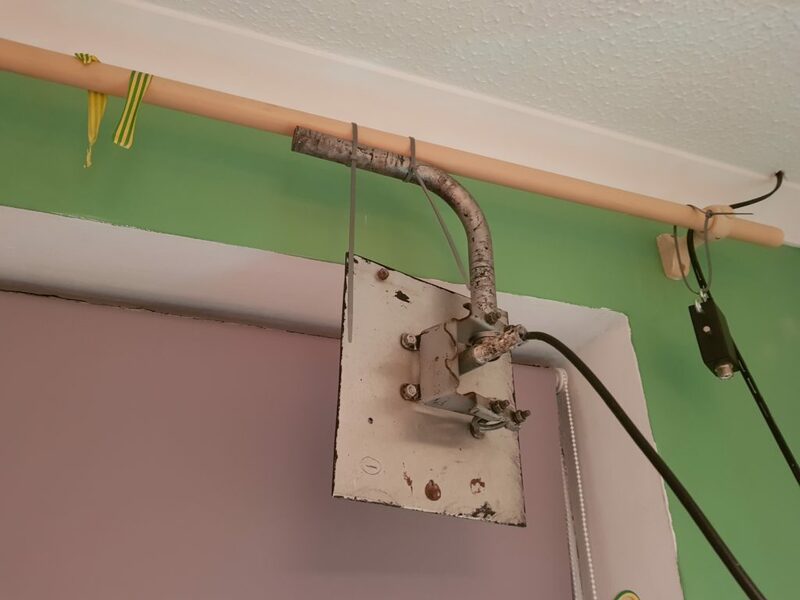 Some modification had to be done to disable the LNB voltage. See Here. This is now set up in the shack so it can be used for ATV QSO’s via the repeater. This radio was acquired from a silent key sale of G1FLL. He was a member of the Radio Club i’m a member of and also for about 23 years of my life was my neighbor over the road. The TM-D700 has replaced the Icom IC-207h in the car as it has a hands free mic that come with it which I now use instead of a fist mic. 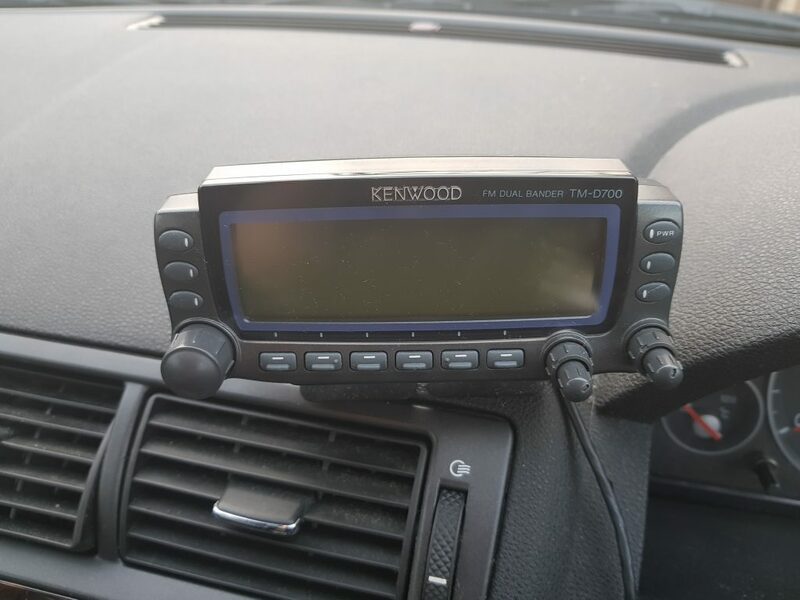 This was another radio I was given at the same time as the Kenwood. This is currently fitted in the car but will be replaced at some point with one with more features such as memory tagging. This is currently connected to a small moonraker 2/70 antenna on a mag mount. This works well enough to access the local repeaters from a good distance. 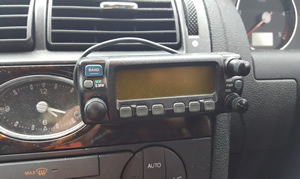 As mentioned in the TM-D700 section, this radio has now been removed from the car and I intend to install it in the Land Rover when restoration is complete.